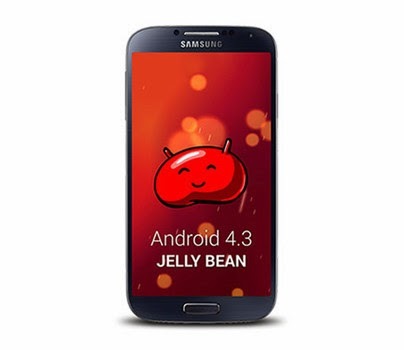 Samsung has just announced that the Galaxy SIII, S4 and Note II will receive Android 4.3 though (Jelly Bean) very soon. Indeed, the company finally officially communicated on the subject. A necessary input to increase the stock of compatible devices with its Galaxy Gear, watch connected, which currently can only work with the Galaxy Note 3. There are about three weeks, unveiled its deployment schedule of Android 4.3 in some smartphones like the HTC One or Galaxy SIII, S4 and Note II. It is now the turn of Samsung to do it directly. If the mark does not give much details, it still indicates that it is German will benefit first on the Galaxy S4 before the end of the month, before the update arrives on the Galaxy SIII and Note II. In addition to the mobile operating system from Google, the features unique to Samsung via its TouchWiz overlay will be the game. This is the case of Knox, an equivalent of at BlackBerry Balance. It helps to have a reminder of personal and professional account within the same phone and can separate the two. It is also about S-Switch, which offers the possibility of quite simply transfer your personal data when changing mobile. Also on the program, and Group Play HOMESYNC 2.5, the first being a Cloud solution, the second providing video sharing between users of Samsung smartphones. If the manufacturer will update its Android smartphones 4.3, it is primarily to quickly increase the supply of compatible devices with the Galaxy Gear, which was announced last month at IFA in Berlin. Still, we would still like the manufacturer is a little faster because Android 4.4 will not be long to be announced by Google. Finally, the Korean company also states that the Galaxy S4 Mini Active S4, S4 Zoom, Mega 6.3 and Mega 5.8 will be compatible with its shows connected via a software update again. The deployment will begin in the coming days, without elaborating. Of course, if the smartphone was purchased via an operator, it will take on an additional delay time to add elements of their own overlays and to validate all.